For open-minded explorers, the Klettersack has become an icon of Denver-based Topo Designs, but it’s more than just a retro-lookin’ pack. Here’s our take on a functional throwback born in the Rocky Mountains. What we dig: The Klettersack pays homage to Alpine climbing days of yore: its simple, no-frills design is reminiscent of old-school mountaineering, but it’s more than practical in today’s quick-paced world. It’s overbuilt to deal with whatever comes your way, from city to summit. It may not be the lightest pack in its size range, but if you’re looking for something that’s functional — and turns heads — the Klettersack delivers. What we’d change: Small side pockets make it difficult to fit larger water bottles (Nalgenes are out), and the slim laptop compartment inside is great for its intended use, but doesn’t work as well for hydration bladders if you’re looking strictly for a hiking pack. The pack’s 1000D Cordura® offers excellent durability, but also adds extra weight. The bottom line: A retro-inspired backpack may seem like a novelty, but the Klettersack is all substance. 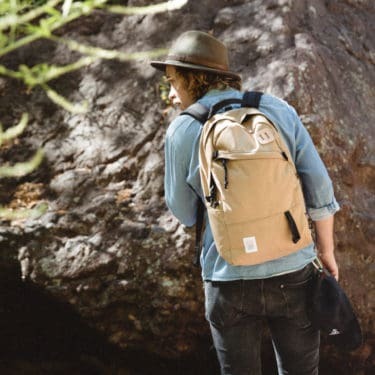 Its vintage aesthetic is backed by extremely durable materials and hardware, a solid build and an easy, relaxed fit that’s comfortable for everyday use or exploring just about any terrain. 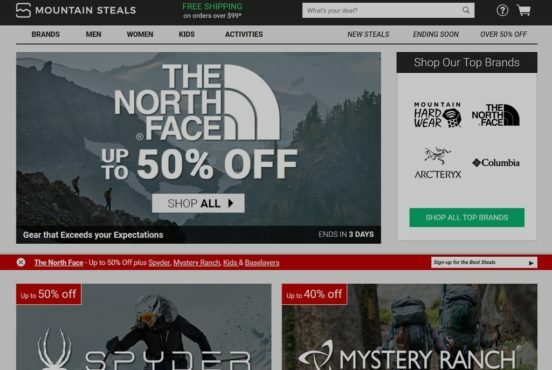 Our favorite alternatives: if the Klettersack is out of your price range, check out the Burton Tinder pack, the Dakine Trek pack or the Patagonia Arbor Classic Pack, a vintage-inspired bag with much the same appeal. The REI Rucksack 28 is a great outdoorsy alternative, and the Fjällräven Rucksack No.21 is an excellent all-around substitute for the sometimes boxy-feeling Klettersack. For something more funky, check out the Poler Stuff Retro Rucksack. Long before Topo Designs rolled out their Klettersack, that term was more or less a generic one. Simple, functional climbing backpacks, klettersacks (German for “climbing bags”) were created decades ago for Alpine style mountaineering, which focuses on carrying all of one’s goods and making minimal impact on the surrounding environment. 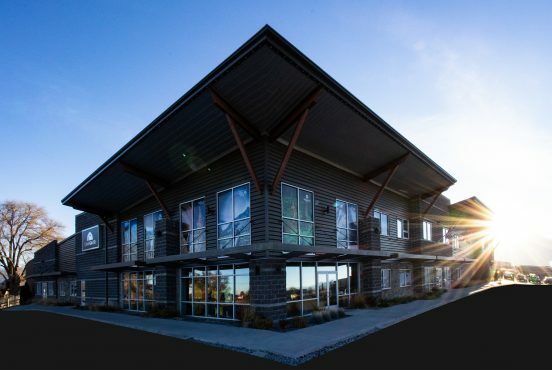 “Light and fast is the mantra of the Alpine Mountaineer,” says the Potomac Appalachian Trail Club. 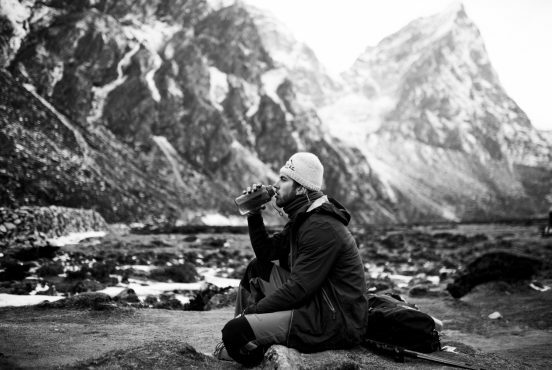 Compared to the traditional Expedition style of mountaineering that relied on setting up base camps and relaying goods — using more people, resources and time — Alpine style climbing reinforced minimalism. “At its core, Alpine Style is all about people letting go of their innate need to control an environment which is naturally chaotic, uncertain and complex, and instead responding according to the natural ebb and flow of changing conditions,” writes Patrick Hollingsworth. Topo Designs’ iteration of the klettersack stays true to simplicity: you won’t find any unnecessary bells and whistles here, and external pockets are kept to a minimum — in the good old days, more pockets meant more ways to get snagged while climbing. But even though its roots date back to simpler times, the Klettersack is far from obsolete. It’s a modern pack meant for all types of carry, from daily work and school use to weekend exploration. Topo Designs pursues a “timeless look with modern functionality,” and they nailed the combination with the Klettersack. The Klettersack is a 22-liter top-loading backpack that clocks in around 30 ounces (a few ounces more for the leather-bottomed version). It’s a simple, boxy pack that offers little in the way of organization, but that’s part of its appeal. 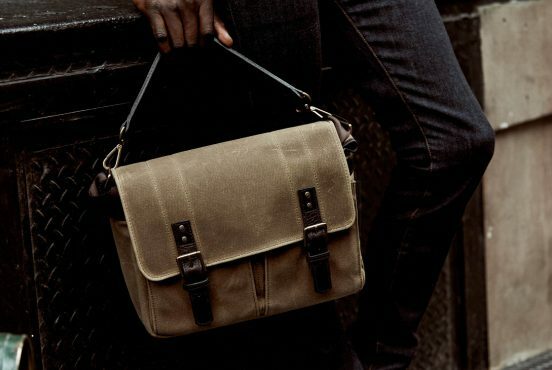 Pockets are minimal: a zippered pocket on top and two small side pockets adorn the outside, and you’ll find a simple laptop sleeve and zippered pocket inside. 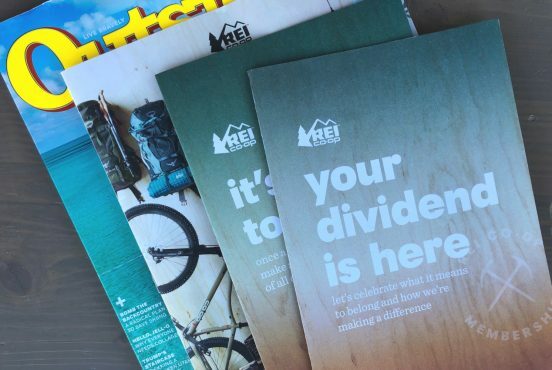 Each pocket is lined with the company’s signature pack-cloth liner that stands out and makes it easy to see what’s inside. The outside is made from 1000D Cordura® that’s heavier than the 500-denier version often used by less expensive backpacks. The material is resistant to abrasion and wear, but it does attract lint and pet hair around the house. The nylon exterior is durable and has a noticeably heavier feel, which is good if you’re looking for something to last a long time, but not as ideal if you’re looking to cut weight on your pack. For comparison, you can find an Osprey or REI 22-liter pack for about 15 to 24 ounces. But those in the know aren’t flocking to the Klettersack because of weight. This is a bag you buy as a statement, not as a technical performance pack meant to shed grams while you bag peaks. It’s a heritage pack that salutes the mountaineer while functioning smoothly for the 9-5 worker, the college student, the part-time freelancer, the bike commuter. The Klettersack gets a lot of things right, starting with the fact that the bag is overbuilt in the best way possible. The zippered pockets feature big, bold YKK zippers that look like they’ll survive whatever apocalypse comes our way, and the solid construction of the bag — thick materials, consistent stitching, strong internal bias tape — makes it sturdier than first impressions let on. We dig the wide, comfortable shoulder straps that offer more padding and relief than your typical daypack. They’re not bulky enough to restrict your movement or feel cumbersome, and seatbelt webbing makes it easy to balance heavy loads comfortably. For its dimensions (12″ x 19″ x 6″), the Klettersack feels surprisingly roomy and accessible. We took the pack on several hiking and camping trips and had to make an extra effort to completely fill the pack. 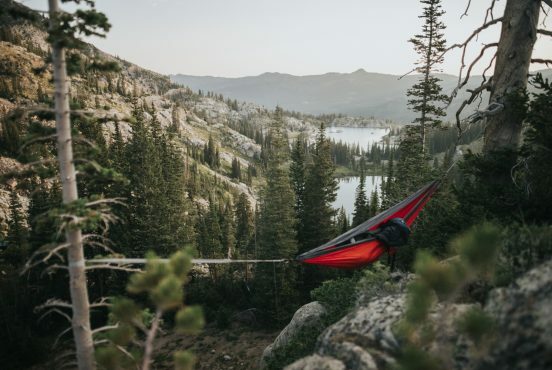 In our experience, you could easily use the Klettersack for short backpacking trips that don’t require much in the way of supplies and water. The pack’s hardware is made with thick, durable plastic, and the straps are strong enough to lock down and carry relatively heavy loads. The drawstring closure on top offers an extra layer of protection that’s ideal for wet conditions, and even when the pack’s full it’s easy to keep things balanced and tamped down with convenient side straps. Using the Klettersack out in the field, it reminds us of a miniature version of our larger, 60+ liter backpacking packs: simple, easy to access and built to stay balanced and close to the back, with plenty of straps to keep things centered and comfortable. The Klettersack’s leather lash tabs have become the ultimate throwback symbol (check out this 1979 backpack catalog if you don’t believe us) and though we didn’t use them much, they offer versatility for those who need it. The Klettersack is made in Colorado with durable, quality materials that last. 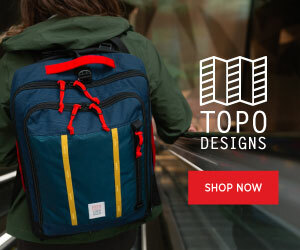 It’s not the lightest or cheapest 22-liter pack out there, but for those who understand what Topo Designs stands for, it’s easy to buy into the vision. Ultimately, what the Klettersack does best is combine the cool, funky elements of a statement piece with the functionality of a bag that’s focused purely on getting stuff done. For all its mountainous spirit, the Klettersack isn’t exactly a primary, go-to hiking or backpacking pack. It works well as a day pack, but the added weight of the Cordura® makes it best for short hikes or light loads. Long distance or all-day hikes get sweaty, as the fabric and back support doesn’t breathe as well as a pack made strictly for day hikes. We did several day hikes in 90+ degree heat and toward the end of each hike, our backs and backpacks tended to get damp. This wasn’t as much of an issue during our hikes at higher elevations and in lower temps, however. The slim side pockets make it difficult to carry large water bottles — you can throw them in the main compartment, but that makes retrieving water far less convenient. The bottles that do fit can cut into the capacity of the bag; not a huge deal if you’ve got room to give, but this can be an issue if you’re packing a lot of supplies while carrying water. 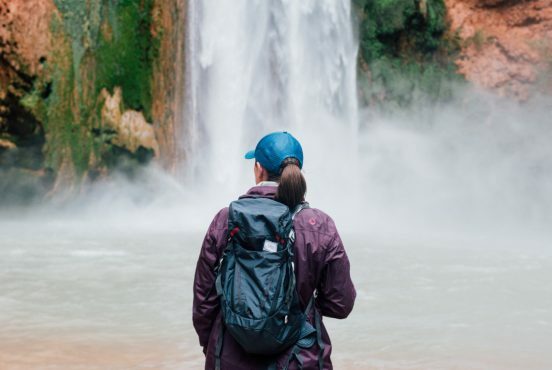 For your typical day hike or camping trip, the slim pockets, pack weight and lack of breathable materials are all easy to ignore, but those with a knack for cutting weight or carrying a lot of water won’t love the Klettersack’s features. The back support on the Klettersack offers sufficient structure and padding, but it does better with lighter loads that don’t compromise the bag’s boxy structure. Heavier loads can reduce the comfort level of the back padding, especially if you’re trekking longer distances. Finally, if you’re a person that needs a lot of organization, you may find the Klettersack lacking. Personally, we found the minimalist approach to pockets refreshing (less is more in our book), but some users may want a traditional bottom front pocket or more internal options. The Klettersack’s “flaws” are mostly side effects of the bag’s minimalist design and its roots as a simple climbing bag. In our field tests, we didn’t find anything that was a dealbreaker, but did note design aspects that users may want to consider before purchasing the Klettersack. If you’re looking for a simple, rugged outdoor bag that makes a bold statement, the Klettersack is an impressive and practical option. It’s inspired by vintage design, but at the end of the day, the name of this pack’s game is utility. 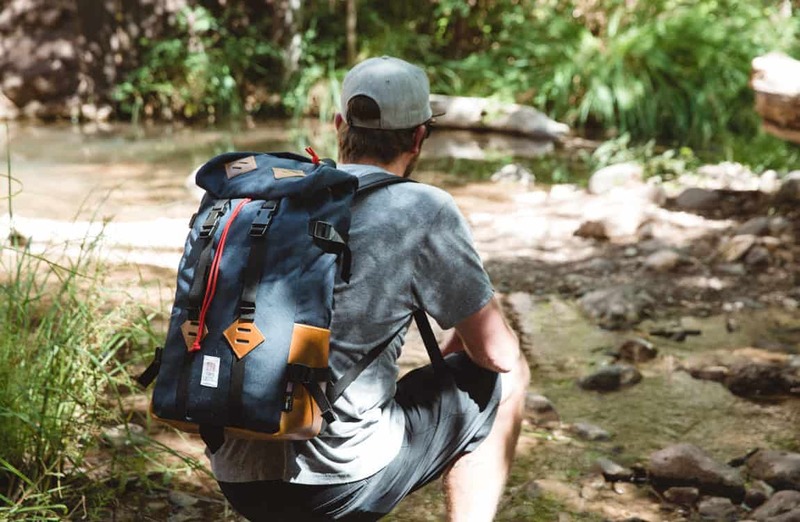 The comfortable design, craftsmanship and functionality of the pack are exceptional, and you’d be hard-pressed to find a USA-made backpack that offers the same level of overdone quality in this size and price range. You can find lighter, cheaper and more streamlined bags on the market, but few brands instill the traditions of old-school exploration like Topo Designs, and those who dig the Klettersack know its appeal is somewhat intangible. 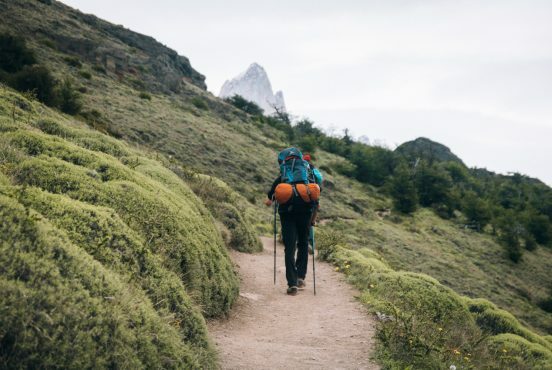 After a few weeks and racked-up trail miles spent with the Klettersack, we were most impressed by its versatility, and wholly recommend it for adventurers who spend as much time roaming around town as they do scaling distant peaks and ridgelines.